Up until last year, people in the Netherlands used to celebrate Queen's Day on April 30th every year. But last year we got a king, and starting this year we will be celebrating King's day instead, and it will be on 26th of April. It's a huge celebration for the Netherlands, and the whole country dresses up in orange. There's parties, and concerts everywhere. And people set up street markets to sell old items from their household. If you go to the markets in time, you may score some awesome stuff at a very cheap price! 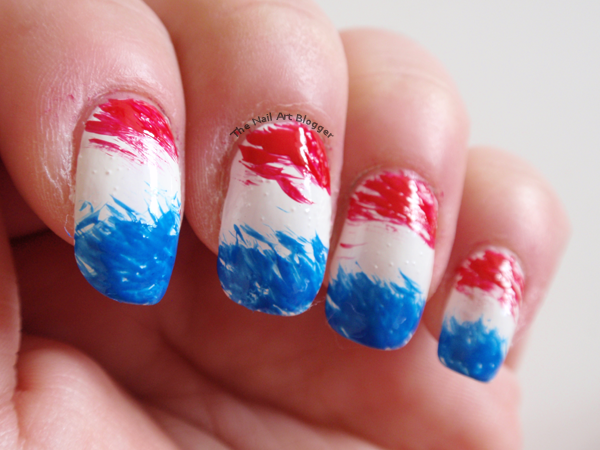 And of course, as a nail art enthusiast, you just can't not have a tiny celebration on your own nails. Here's what I did.. 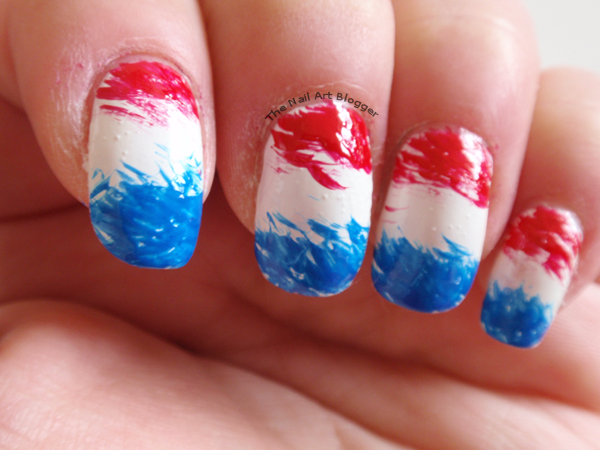 I used a fan-brush to apply the blue and red polishes over the white base. The messy look was intentional, because I didn't want to have "just" a flag mani on my nails. The white has a lot of tiny bubbles once it dries. I didn't shake the bottle before using it, so I'm wondering what caused it. And it's brand new too. If anyone has an idea, I'd love to know! If you're in the Netherlands and celebrating, have lots of fun! Ik heb altijd hetzelfde probleem met de Sally Hansen Xtreme Wear nagellakjes. Ik had ook een lila en een mintgroene, die hadden ook altijd veel bubbeltjes. En idem dito met Essie nagellak (voor mij dan). Het zou iets kunnen zijn met je base coat, of de warmte van je vingers. Ik geloof dat het zelfs zou kunnen komen door de luchtvochtigheid!